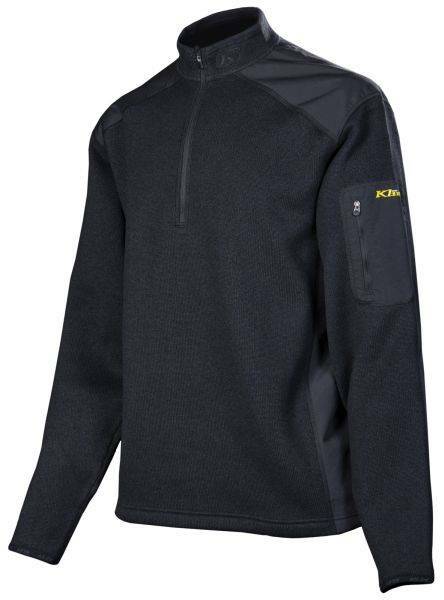 The comfortable, casual styling and cozy good looks of KLIM's new Yukon Pullover are merely part of the story- this is one highly technical piece of performance gear. Ideal as a heavier-weight mid-layer insulator (fits right between the Inferno and Everest in warmth) as well as the perfect pre and post-ride casual outer shirt, the Yukon promises efficient warmth with unbelievable versatility. Featuring sweater-like comfort and Polartec® Thermal Pro® insulated construction, the Yukon Pullover is always ready for the temps to fall and the snow to drop.